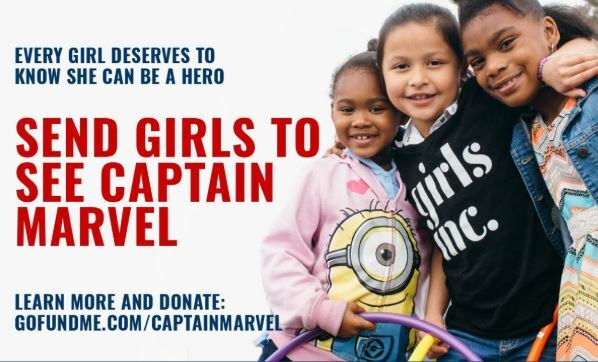 Last week, the nonprofit We Have Stories launched a GoFundMe on behalf of Girls Inc. of Greater Los Angeles to help get young girls to see Marvel Studios’ first female-led film, Captain Marvel. 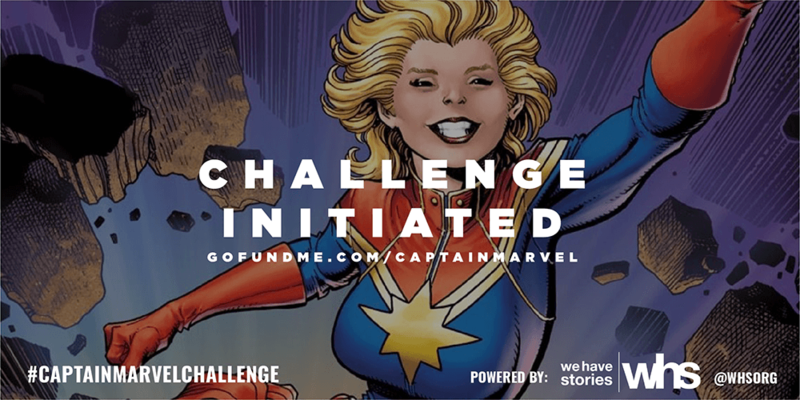 The Captain Marvel Challenge has already surpassed its goal of $20,000, but has a little catching up to do to mirror the 50,000 that the Black panther challenge brought in. Still, there’s more than enough time to make that happen, as Captain Marvel doesn’t hit theaters until March 8th. Y’all are amazing! We’ve raised over $30k to take children to see Marvel Studios’ first woman led film, #CaptainMarvel! But we aren’t done, and we know you aren’t. After raising over $20,000 and receiving support across the country, including from the film’s leading star Brie Larson, organizers and activists are now launching the #CaptainMarvelChallenge and calling on folks to start their own fundraisers to get people in their communities to see the film. Check out the GoFundMe page here!